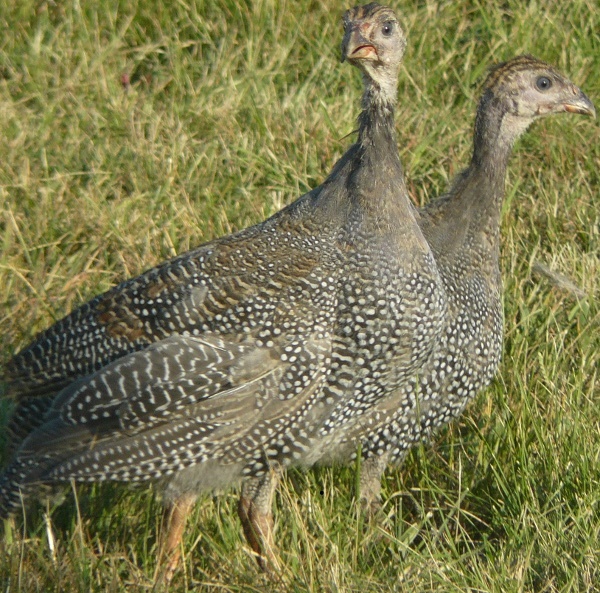 The currently shipping group of Pearl Guineas is between 28 and 40 weeks old. 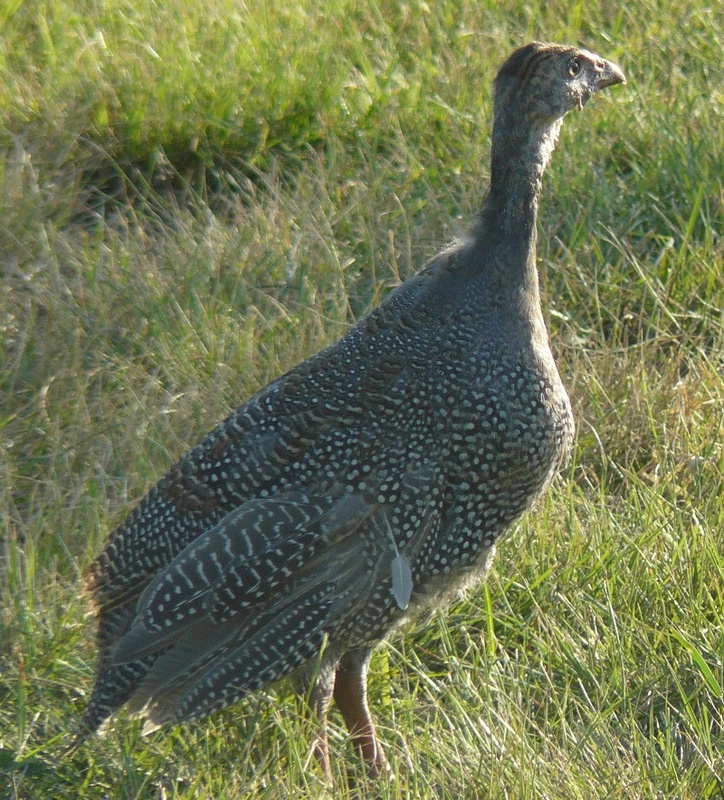 The plumage of the Pearl Guineas is blue-gray throughout and regularly marked with pearl-like white spots or wavy bard of white. The general appearance is like a short gray bird. The legs and toes are a dark slate. Guineas make a necessary addition to your yard or garden for pest control and since guineas do not scratch they instead, use their beaks to extract bugs, ticks and other pest doing minimum harm to your plants. 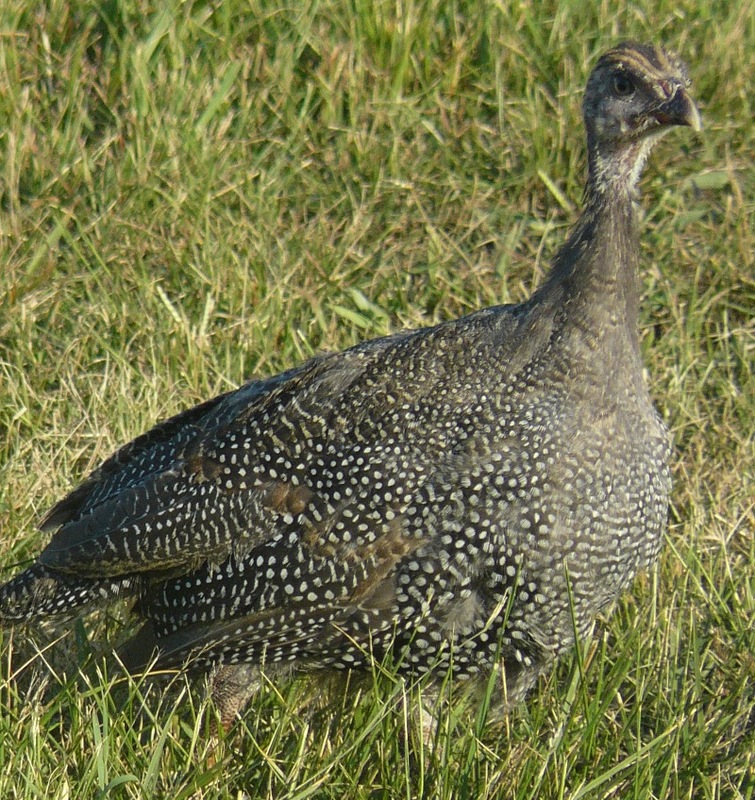 Here on our farm we raise our guineas on pasture for optimum health and encourage them to forage for grass and bugs. We also supplement them with an all natural feed. Guineas are known to wander and they're excellent fliers so its best to keep them confined for 3-4 weeks to allow them to get accustomed to their new home. There is no shipping minimum required when ordering juvenile guineas. What does straight run actually mean? Straight run means "not sexed". We do not know if you will receive males or females.